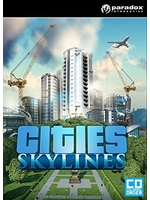 Developed by the small Finnish team of Colossal Order (makers of the Cities in Motion games), Cities: Skylines is a city builder that will be released tomorrow on PC, via Steam. 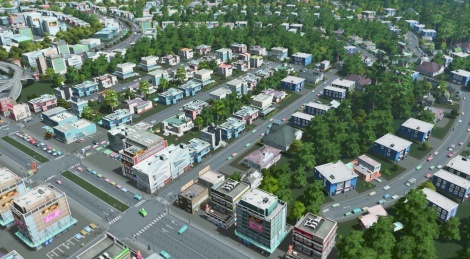 First, here are some videos showing the creation of a new city, the available themes, some citizens commuting in public transports, and the asset editor. You should know that the game is fully opened to modding, also has a map editor, and integrates Steam Workshop. I kind want to grab this. Haven't play a good city builder in quite a while. I used to enjoy Sim City 2000 a lot back in times. Have seen some really good impression on this. I don't have the patience for a game like this but I watched some streamers play it during work and it's amazing. Especially the traffic management part seems pretty deep. This looks pretty impressive. MUCH better than SimCity. Looks like they are getting beat at their own game. The engine here seems to be pretty robust. I have it on my list... waiting for launch. Last time I played game like this was like 16 years ago.